Sony is feeling good about the PS4's upcoming launch, and according to one executive the company thinks the event will break records for console sales. The launch of Sony's PlayStation 4 draws near, and that means the console manufacturer is counting up its preorders and setting expectations for the big day. Sony UK's managing director Fergal Gara has high hopes for the system's slightly-more-distant European launch as well. The hype train in that region shows no signs of slowing down, and Gara thinks that Sony has a real shot at shattering the UK's launch day sales records. "It's very possible, yes," Gara said when asked about breaking records with the PS4 launch. "And the pre-order levels are the highest we've ever seen, full stop. So pre-orders only need to convert into real sales and that happens." This is a great improvement for Sony, seeing as how the Xbox 360 sold roughly four times as many units as the PS3 did in the UK. Gara points out that Sony "won" the console war in Europe despite the loss in the UK, but this time around the PS4 could win that market as well. "Andy House said last week we're holding a forecast of five million units of PS4 for the financial year," Gara recalls. "That's 50 percent up on PlayStation 3 for the same time window." Despite all the optimism, Gara knows that a good launch day means nothing if Sony can't follow through. "This format war, if you want to call it that, is a marathon, not a sprint. We're coming out of the blocks in a strong position, but ... we have to continually improve the proposition, proving what PS4 represents." 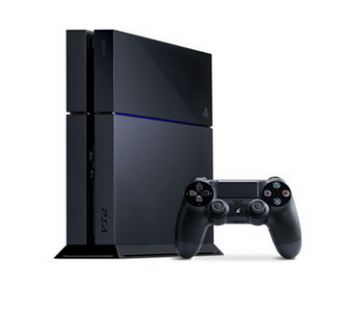 The PS4 launches on November 15 in the US, November 29 in Europe.